Learn to run your own Solarize Campaign! Solarize U is our training program to help you replicate the successful Solarize model in your community. Solarize U workshops and tools strengthen the capacity of local leaders, nonprofit organizations, municipal governments, and electric utilities to lead Solarize programs in their own communities. Campaign Training: Trainings provide an overview of the Solarize model, solar technology and incentives, and best practices for leading a campaign. Breakout sessions enable participants to connect with their colleagues and begin campaign planning. We tailor specific training elements to meet the unique needs of the local area demographics. Program Materials: Participants receive a Solarize U workbook, which provides an in-depth explanation of how to run a successful Solarize campaign. The workbook contains program templates, marketing collateral, sample budgets, and related materials, and is available in print and digital format. Many communities have already completed Solarize U trainings, and launched their own Solarize Campaigns! 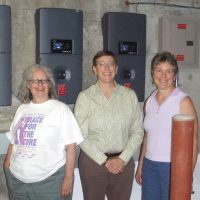 If you want to bring a Solarize U training to your community, let us know!